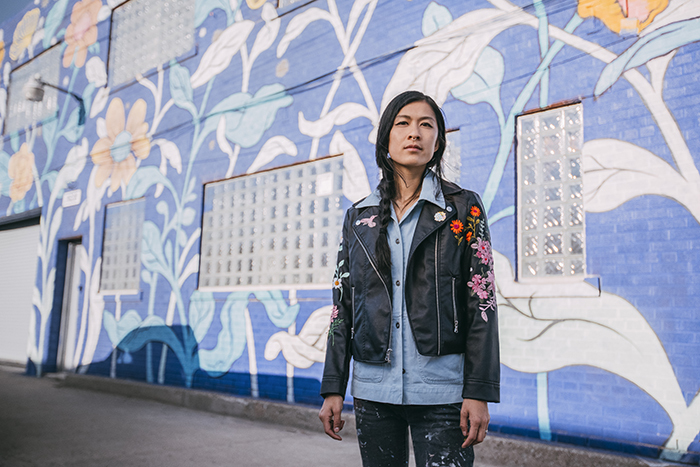 Louise Chen, or known by her muralist name of Ouizi, resides in Detroit, MI since relocating from Los Angeles, and has taken the city’s art scene by storm. Creating large-scale street art in literally every corner of the world, she has from one perspective, built up cities around her with her artwork. 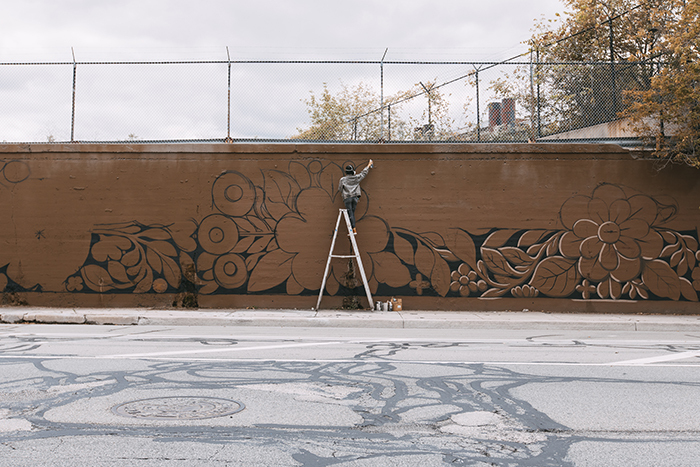 Creating a mural, often while suspended on a forklift, she makes a living painting large-scale floral murals. “My favorite part is seeing things materialize. I also am quite fond of the moment when an idea feels just right and is ready to become a work of art,” Ouizi says. 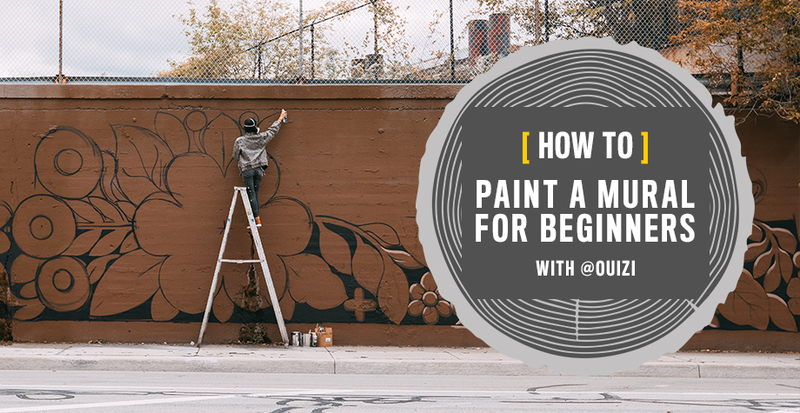 If you have ever wanted to try a large-scale paint job yourself, Ouizi has helped to lay out step-by-step instructions on how to enlarge a design. Maybe you’ve always wanted to add something extra to that empty wall in your home, or maybe you’re an aspiring artist with a blank wall somewhere… Whatever your inspiration, get the guide for all your creative ideas, below. 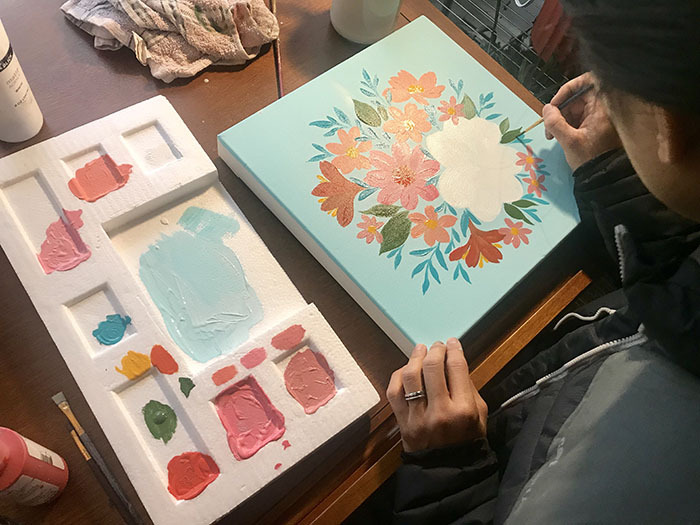 ENTER TO WIN a custom painting by Ouizi HERE.